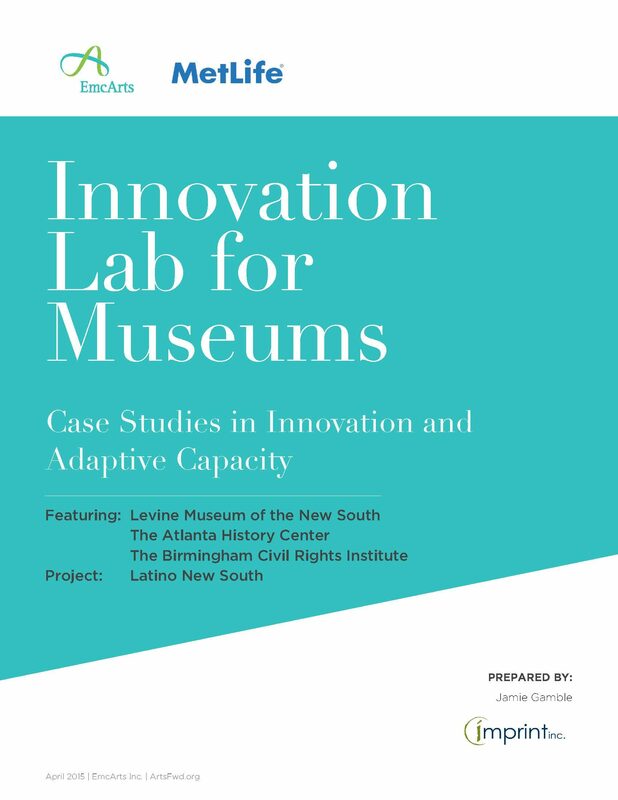 We are pleased to present our new publication, Innovation Lab for Museums: Case Studies in Innovation and Adaptive Capacity – featuring Latino New South. This case study on Latino New South follows the journey and partnerships of three cultural institutions – the Levine Museum of the New South (Charlotte, NC), the Atlanta History Center (Atlanta, GA), and the Birmingham Civil Rights Institute (Birmingham, AL). These three organizations entered the Innovation Lab for Museums with the intention of making their programs and institutions more resonant with, and responsive to, the fast-growing Latino communities in their respective cities. 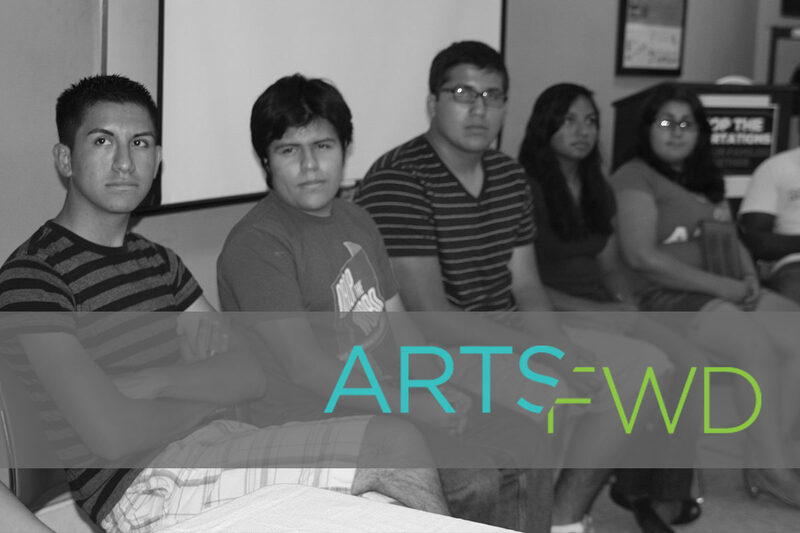 Read our in-depth case study on Latino New South. The Innovation Lab supported these three organizations in breaking new collaborative ground, and pursuing a joint project that examined tensions and challenges with race, immigration and demographic changes in the South. The organizations explored new practices for integrating the arts with community and stakeholder engagement, and developing institutional cultures that was more informed about the particular struggles of the Latinos – both foreign and U.S born – in their community. While all three organizations are deeply rooted in the South and often work with each other, the Innovation Lab provided them an unusual opportunity for deep collaboration. The Lab generated a stable container for experimentation, learning and prototyping. It also allowed them the freedom to lean into new, and potentially uncomfortable questions and topics more readily, so that participating staff could have effective conversations of cultural relevancy, immigration, language access, history and misperceptions about the lived realities of Latinos. Through varuoius programs, Latino New South focused on making museums more accessible to the Latino community. The combination of space, flexibility and structure provided by the Lab resulted in the three museums generating a shared innovation: community listening sessions with Latino individuals and families. The consortium co-created, prototyped and implemented their concept for listening sessions, which centralized the ideas of deep listening, inquiry and interviewing, strategic inclusion, and design for increased participation and engagement. They ran these listening sessions with stakeholders in each of their cities, and then shared learnings from the conversations with each other in thoughtful, iterative, and integrated ways. One important project that came out of the team’s partnerships in the Innovation Lab was a collaborative exhibit, iNUEVOlution!, which was developed with heavy engagement from Latino community partners. The Innovation Lab supported the organizations in the process of innovating and collaboration during multiple phases of group-building, project design, development and implementation. Participants in a Latino New South listening session. The result of the Innovation Lab and the prototyping of listening sessions were manifold. All three organizations practiced new lessons in effective collaboration, even through challenging and discordant phases, and new skills in effectively holding each other accountable. For instance, they successfully challenged each other on things like the appropriate use of civil rights language and framing to reach Latinos, and the expected resource commitment from each institution. The organizations learned to establish clear boundaries within the context of difficult questions about community relevance, positioning and public value, and programming for changing racial and ethnic demographics. Through Latino New South, and their shared exhibit iNUEVOlution!, these organizations expanded their local footprint and demonstrated their ability to integrate Latino communities more meaningfully into the ethos, policies and practices of their organizations — instead of simply doing unidirectional outreach to them. This case study shows that anchoring cultural programs and practices in a community requires intentional and iterative mechanisms for deep listening, and sharing of learning. This kind of engagement creates pathways for thinking differently about the role of cultural institutions in welcoming communities, especially those places in the U.S South that find themselves at the juncture of rich histories and tradition, as well as rapidly changing demographics and diversifying cities. More replicable lessons, impacts and anecdotes are in the full case study, written by Jamie Gamble of Imprint Consulting. You can also read the one-page case snapshot here. A case study documenting the successes of COCABiz, a program of the Center for Creative Arts (COCA) that supports the business community in St. Louis, Missouri by integrating artistic practices into its trainings.